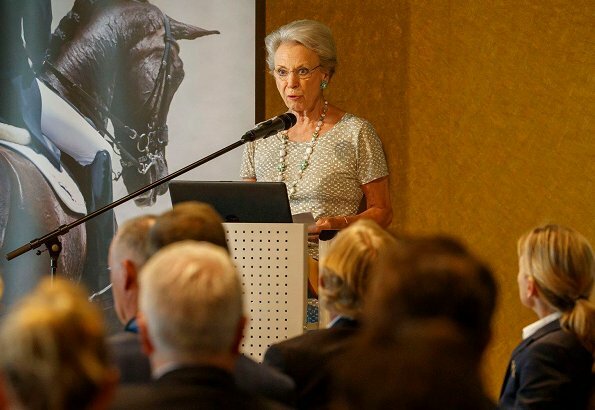 The president of the Global Dressage Foundation, Princess Benedikte of Denmark attended the Global Dressage Forum 2018 held at CHIO in Aachen on Friday 20th of July. The Princess gave an opening speech at the meeting. The Global Dressage Forum is the leading public debating platform in the world of international dressage. 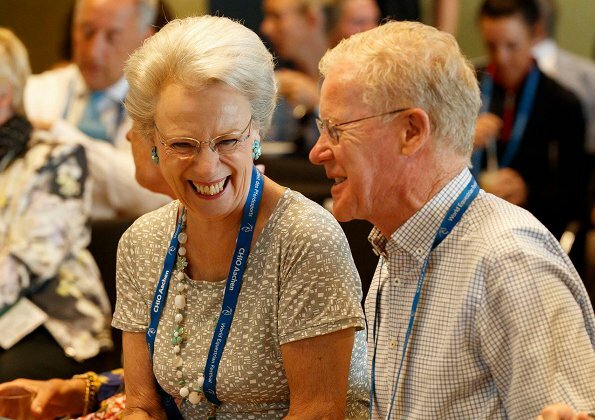 Among the issues of discussion are the potential for development, progress, innovation and promotion of the dressage discipline and to make this sport more marketable. She is such a nice person. Very personable. Very lovely and classy Lady.Nice outfit and smile.